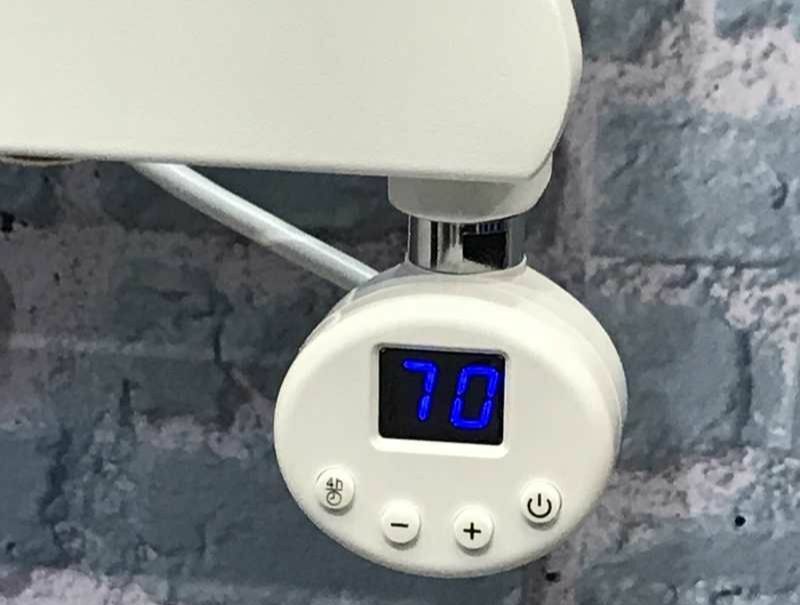 Fill the towel rail by removing one of the top plugs and fill it with water only allowing around 10% of the height for expansion when the water gets hot. A combination of 85% water and 15% corrosion inhibitor is recommended. 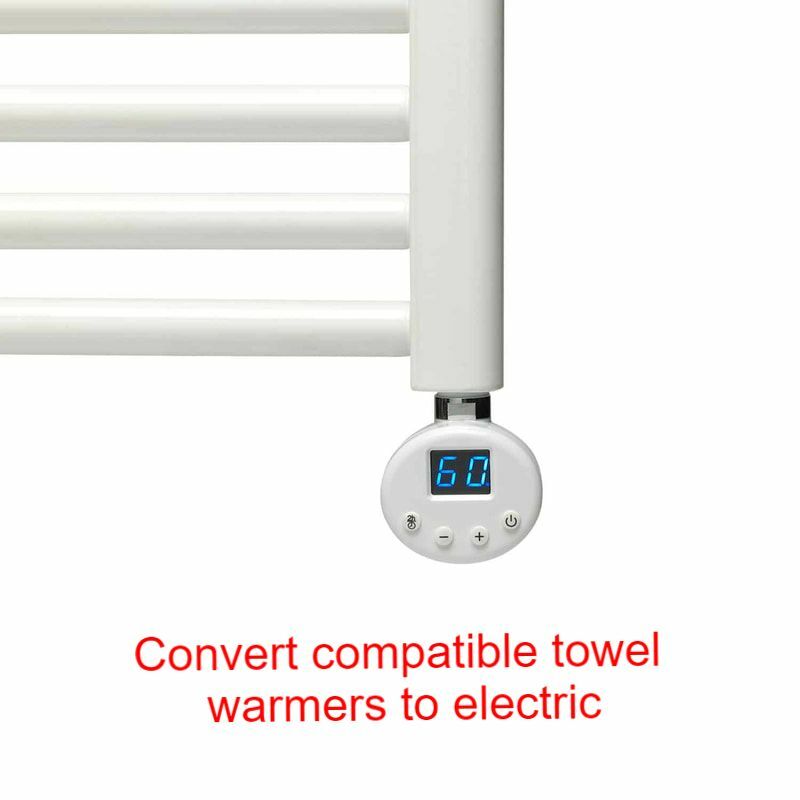 Electric Towel Rails have a heating element fitted into one of the vertical collectors that heats up the liquid inside the rail. 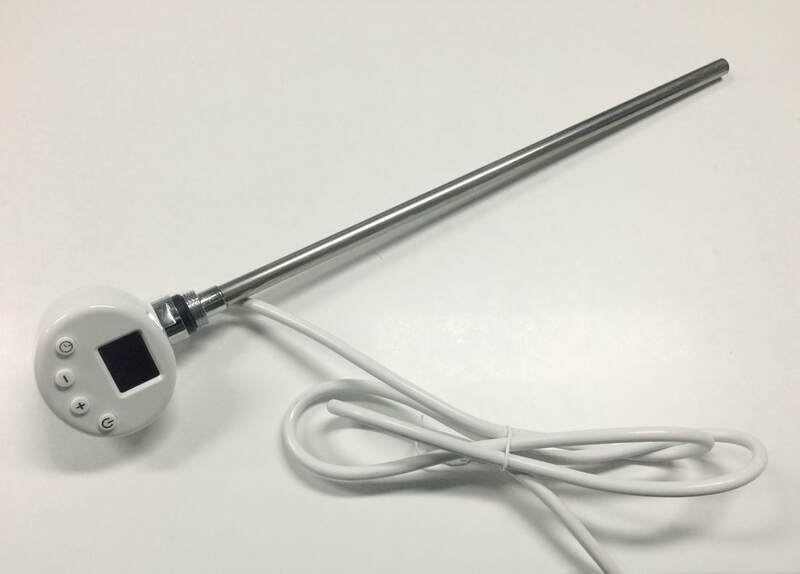 They are in principle similar to a kettle; however, the larger volume and the requirement for a safer surface temperature does not allow changes in temperature to be immediately spread across the rail. As there is no internal flow inside the rail, the heat is spread by diffusion, which means that the warmer particles of liquid will move up and horizontally to the coldest spots of the rail whilst the cooler ones move down and towards the heating cartridge. This is why the lower bars will not be as hot as the middle section; the fluid inside the lower bars has already travelled through most of the rail and it is making its way back to the heating rod of the element. At this point, it has already transferred most of the heat that it carried. The top bars will not be either as hot as the rest of the rail, our rails are filled to the 90% of their capacity to allow the 10% for expansion of the liquid to prevent overpressure.